Secretary of the National Security and Defense Council Oleksandr Turchynov did not rule out that the provisions on Crimea de-occupation could be included in the presidential bill on the restoration of Ukrainian sovereignty in the occupied areas in Donbas, DT.UA reports. At the same time, he stressed that the de-occupation of Crimea and Donbas requires different approaches, according to DT.ua. "When the proposal is submitted to unify the issue of liberation of the Autonomous Republic of Crimea and Donbas, the law's text will become longer and the second reading will be more difficult. But I don’t rule out that this can be realized," the NSDC secretary said speaking on air of 1+1 TV channel late Thursday. Read alsoReintegration postponedHe also recalled that Crimea's status of an occupied territory has already been fixed at the legislative level. "The occupation of Crimea has a different format, it is an attempt to annex our territory ... 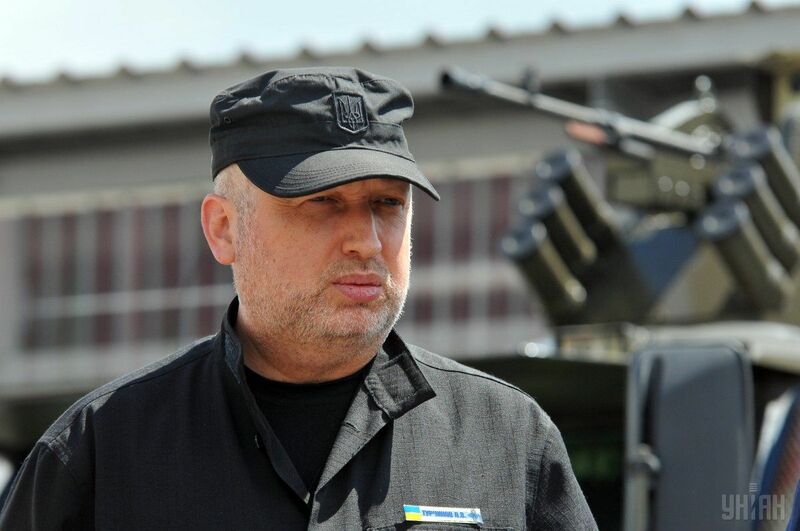 The technology of Crimea liberation is more complicated but it will also be implemented," Turchynov said. Read alsoUkraine's parliament fails to vote on Donbas reintegration bills due to blocked presidium, brawlHe also expressed hope that on Friday, October 6, Ukrainian MPs will manage to consider draft law No.7163 [on restoring Ukraine's sovereignty in occupied Donbas] in its first reading. "I hope that the Verkhovna Rada, in spite of resistance, will take a decision and define Russia as an aggressor state at the legislative level. This is the main task that we must implement tomorrow [Friday]. So far we have not a single law recognizing Russia as an aggressor state," said the secretary of the National Security and Defense Council.